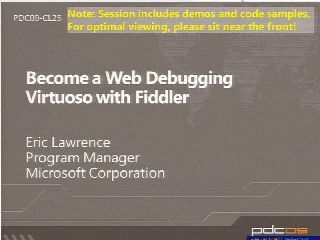 Fiddler is a popular and extensible web debugger used to debug traffic from any web browser or client, including applications running on Windows Phone 7. 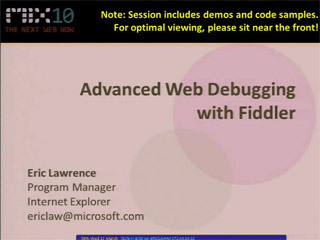 In this session, we’ll use Fiddler to debug common web application problems and explore how Internet Explorer 9’s features interact with the network. 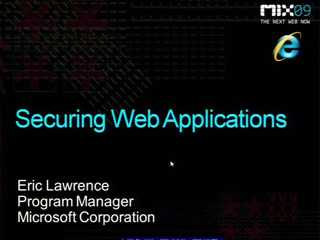 You’ll see how Fiddler’s new Import / Export architecture can be used to interoperate with captures in the HTTP Archive Format and captures collected by the Internet Explorer 9 F12 Developer Tools. We’ll dive deep into the powerful enhancements made to the AutoResponder, and use it to debug issues even while working offline. The latest features in the standalone FiddlerCap capture tool will be demonstrated, and I’ll conclude by explaining how to integrate the FiddlerCore library into your automated testing processes.